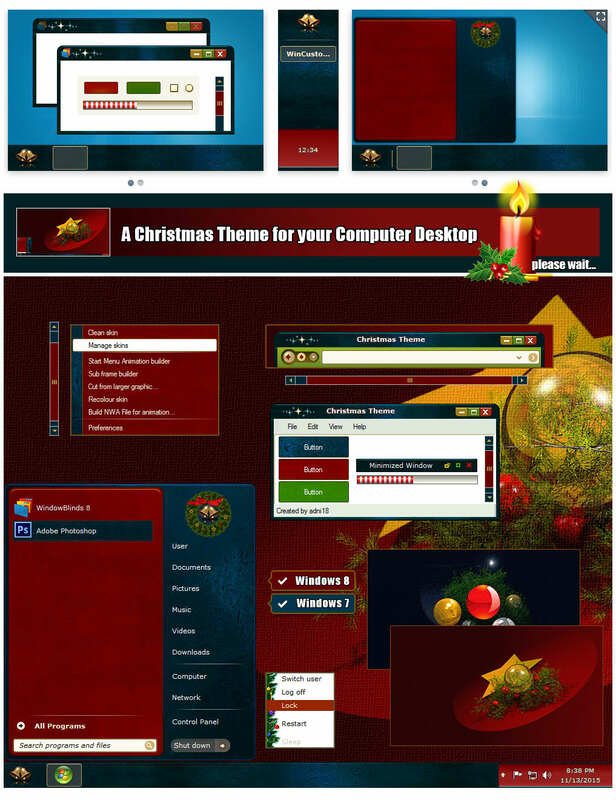 You can use this theme with Windows Vista, Windows 7, 8, 8.1 and 10. Oh yeah, Christmas time is near! Excellent work Nikos! Very nice, now if only Stardock would make all us Windows 10 users an early Christmas Present of Windowsblinds 10. I wonder why Windowblinds 10 is so difficult... I am sure that they try hard at Stardock, I wish them good luck! Very beautiful. I love it. Unfortunately there is no rollup. Sorry, no buy. Next time maybe. Great job! Rollup is an option in windowblinds config. You don't need a button for that. Beautiful, but does me no good since I use Windows 10. I got this on the day it came out. Then it was gone. So I should redownload it from my account? It says to redownload again in the post S J N.
Thank you Destrohelix and Sonya!